Posted on Monday, December 17th, 2012, by Brenda Pottinger under Misc..
Blue, white and silver are wonderful colors for a holiday event. 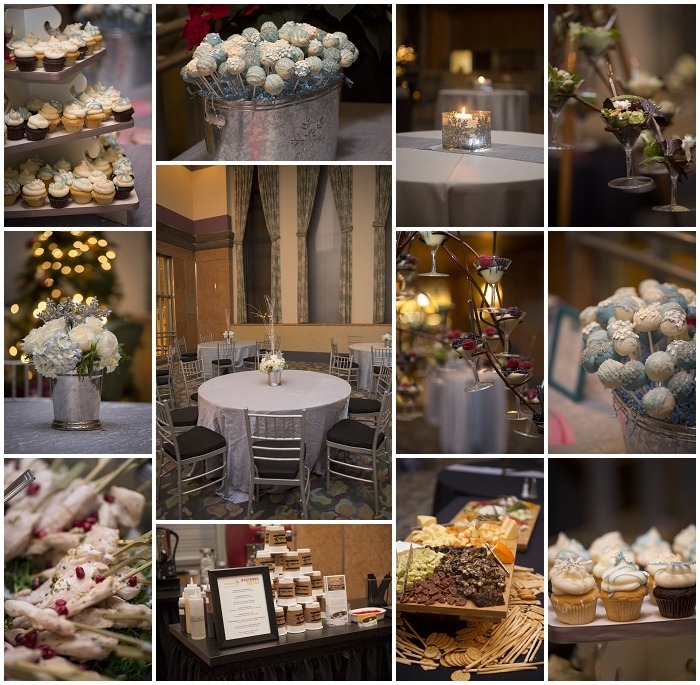 The Perfect Wedding Guide party was a huge hit at the Cincinnati Museum Center. After coming in from the cold weather we warmed up with hot chocolate or coffee from Valet Coffee. The centerpiece of the food buffet was the martini glass tree with two different kinds of salad and a dessert. Cupcake Crazy provided delicious cupcakes and cake pops. The centerpieces of silver, white and blue from Say I do looked amazing with the linens from Connie Duglin. 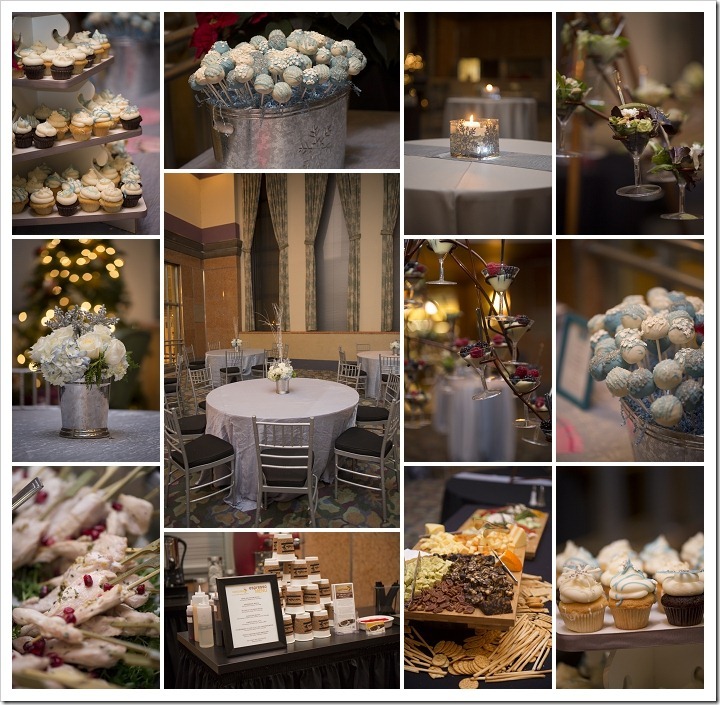 Overall the party was the perfect opportunity for celebrating and networking with the areas best wedding vendors! Congrats to the Perfect Wedding Guide on another wonderful year!